This model is equipped with a proprietary Acer True Harmony acoustic system, which provides incredible audio quality for just about any type of media content. 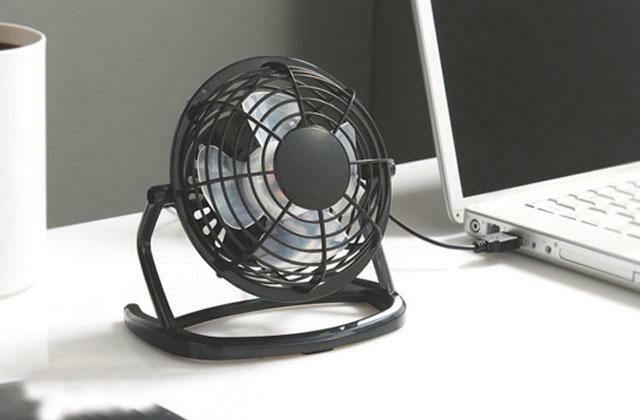 The fan gets a bit noisy when you overload the CPU. 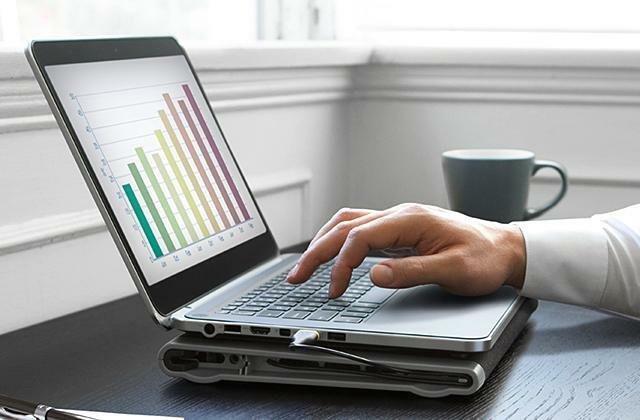 It is the most powerful and technologically advanced touchscreen laptop which ensures incredible performance with any data and provides users with the best converting experience ever. With the 360° hinge, it will easily transform from a traditional laptop to an ultra-slim display to use comfortably on the go. 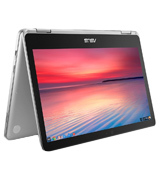 14.59" x 10.09" x 0.79"
Thanks to the 360° hinges, this Chromebook can be used both as a laptop or as a tablet. Using the device in the dark is comfortable since the backlit keyboard. The display has a multi-touch support. Doesn't incorporate an HDMI output. The ASUS C302 is a compact and flexible Chrome laptop that boasts a high-speed performance and provides a rock-solid security of your data. The 500 GB capacity of the hard drive will allow you to store an abundance of HD movies and some of the heftier titles on top of that. The HDD also boasts 5400 revolutions per minute, which goes a long way when it comes to faster start-up times and data access. Some customers find the webcam's colors a tad unnatural. 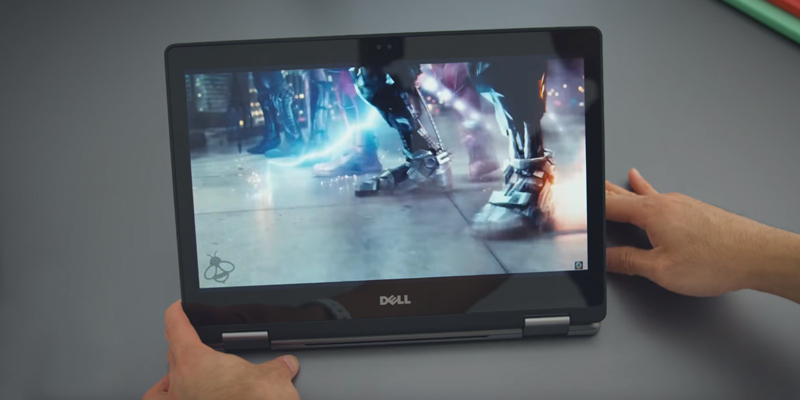 The Dell Inspiron 11.6" 2-in-1 laptop will prove to be a great pick for those users who like having their own offline movie library as well as keeping a number of sizable games installed and ready to launch. Plus, the gadget simply looks good, which is never a bad thing. 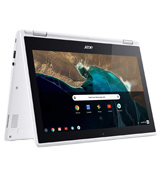 11.4" x 8" x 1.02"
Acer provides a two-year limited warranty for the model, which means a more serious approach to the ChromebookR11 development. 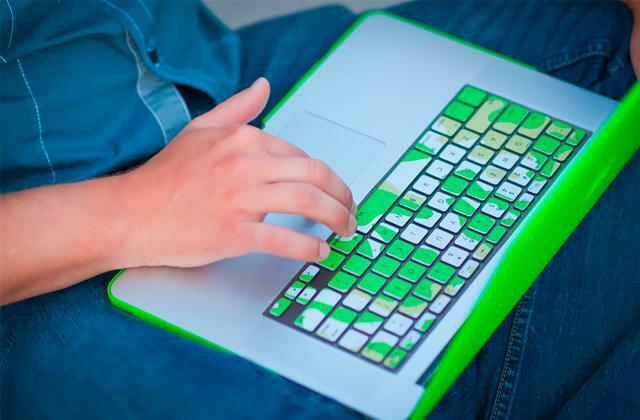 The laptop delivers an excellent combination of performance, quality, and features. A limited amount of SSD memory. As fast and convenient laptop to access the Internet and Google services, the Acer Chromebook R11 is an excellent choice. The model offers outstanding performance in a light, thin chassis. It has a powerful 4-core CPU, 4 GB of RAM, and 32GB of eMMC storage, as well as an HD IPS touchscreen and a battery good enough for up to 12 hours of continuous operation. 11.57" x 8.03" x 0.76"
The ASUS SonicMaster provides an immersive sound. 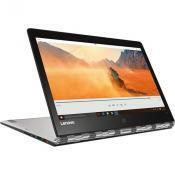 The aluminum chassis and a solid metal hinge make the model far more durable compared to the majority of these laptops. The high-precision touch sensors offer better sensitivity and work perfectly with the ASUS Pen stylus. The built-in speakers are quiet. There's a lot to like about the ASUS VivoBook Flip 2-in-1 Laptop. It is definitely one of the better-balanced options on the market. It is also a great choice for people who work in the design industry and an even better choice for those who like to travel. 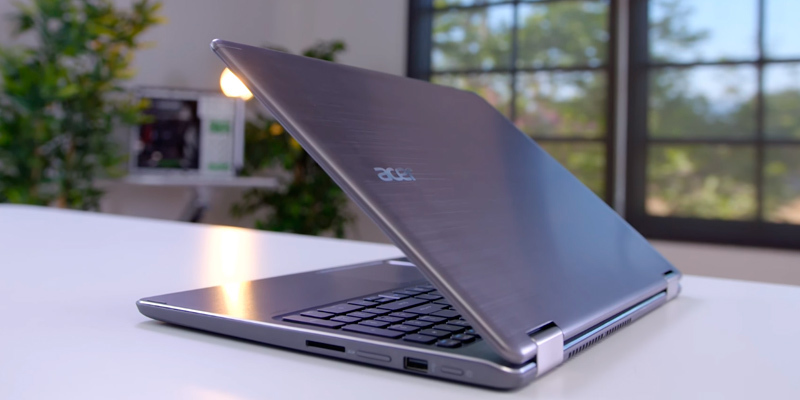 A year later after releasing the first two laptop transformers under the "R" series in September 2014, the Acer company presented its updated laptop - the Acer Aspire R15. 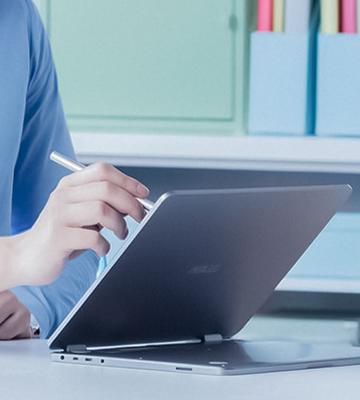 Like the previous Aspire R13 and Aspire R14 models, the manufacturer fitted this laptop with a 360° hinge system allowing users to switch between tablet, tent, display and laptop modes, but, unlike them, equipped it with a bigger screen which now has grown to 15.6 inches. Interestingly enough, for this particular convertible laptop, the Acer company received the Red Dot Award in 2016. Let's see what this laptop has got up its sleeve. 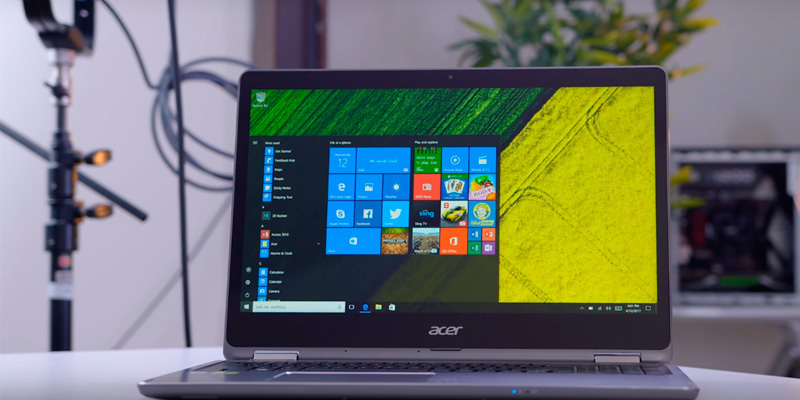 The Acer Aspire R15 Convertible laptop has an attractive design with a vibrant display, rigid keyboard, and ultra-thin profile. Made from glass fiber with the insertion of silver, the bottom of the laptop features rubber stand that enables the laptop to withstand vibrations while also helping it to grip with any surface perfectly well. Speaking of the laptop's performance, the Acer Aspire R15 offers a solid performance for most of the tasks. 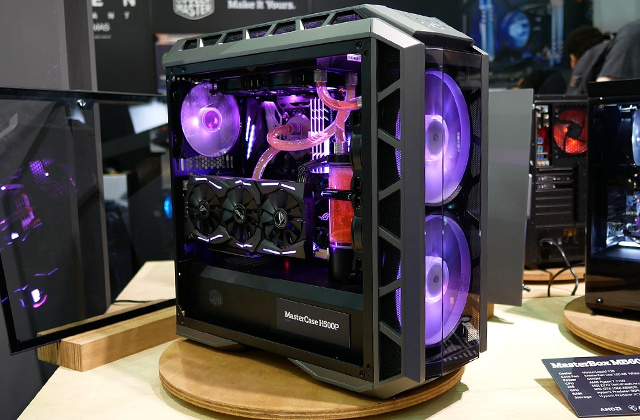 It comes equipped with the Intel Core i7 CPU of the sixth generation, 12 GB of RAM of the new standard DDR4, and a powerful NVIDIA GeForce 940MX GPU, which makes it well optimized towards most of the visually demanding tasks and video streaming. What the Acer Aspire R15 might not be as good at is playing the resource-hungry games. The drive of the laptop cannot boast the computer power needed for the latest games. 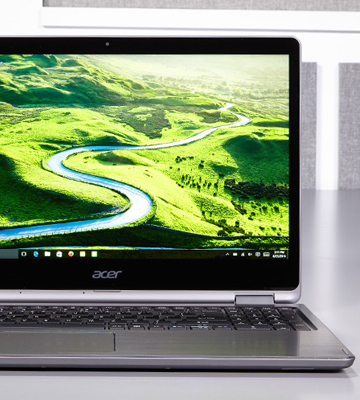 The Acer Aspire R features a 15.6-inch Full HD touchscreen (1920 x 1080) that can be opened 360 degrees. The dimensions of the laptop, which equal 13.5" x 9.1" x 0.7", make this laptop the thinnest one of the series. Aside from a thin profile that we liked so much, we also love how bright and crisp the colors look on the screen. 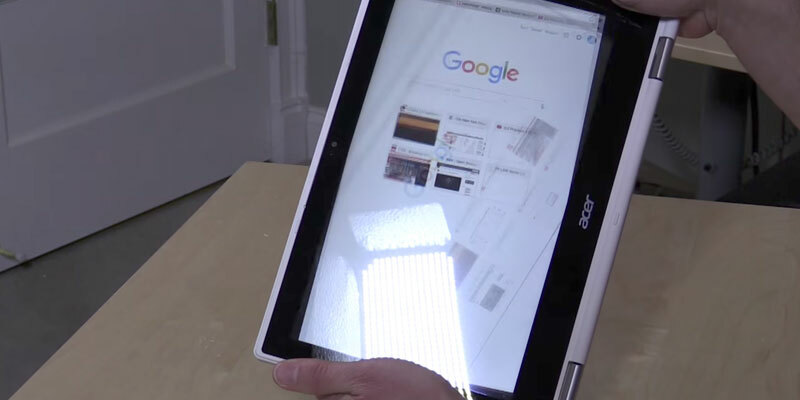 The only thing that might frustrate you is that the screen here is quite reflective, which may cause some complications when using the laptop as a tablet somewhere outside. From head-on angles, however, the picture on the screen looks very bright, vivid, and crisp without reflections. The laptop battery is advertised to work for up to 9 hours. In practice, though, this number is slightly smaller. 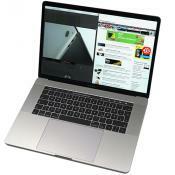 As the battery life testing showed, the laptop can run for up to 5 hours before it needs a recharge. Therefore, if plan to go on a long trip with a computer, make sure to grab with you a charging cable, too. The operation of the Acer Aspire R15 is quite quiet and it doesn't seem to overheat even after hours of use. The results of the heat test showed that even after 30 minutes of HD video playback, the temperature of the laptop didn't rise. To my knowledge there is not laptop on the market for $800 with an i7, dedicated graphics, 12gb of RAM and an SSD. This is really one of the best values on the market right now. The processor and graphics card are pretty good, I can run Minecraft easily at 60 fps but don't count on it to run anything intensive. I have found the USB ports to work very well. No problems to this point. Load up is fast. 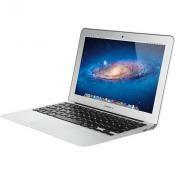 Chromebooks are an offshoot of conventional laptops that are operated by Google's Chrome OS. 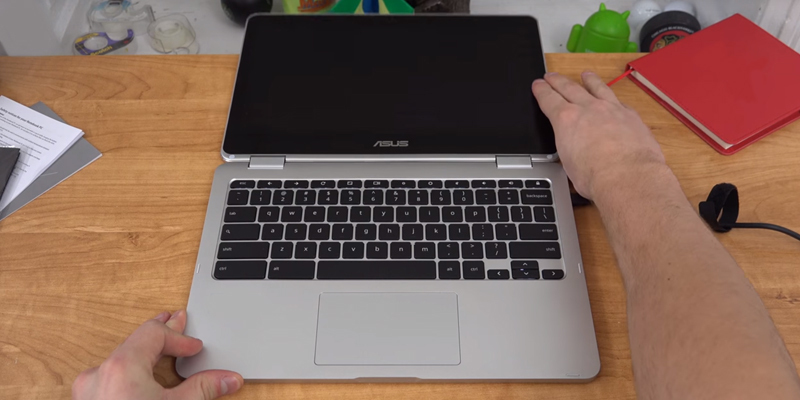 At first glance, you might not even be able to tell a Chromebook from a real laptop. Yet, can a Chrome laptop be used as a primary computer? 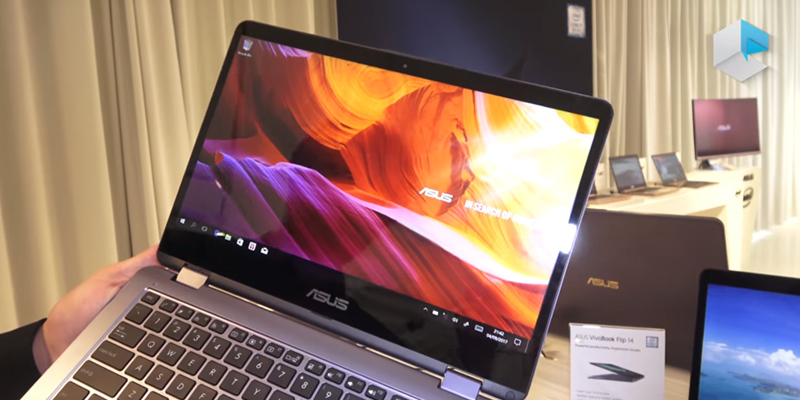 The answer is rather positive if it comes to the ASUS C302CA as this device is compact and really high-performance. Needless to say, all your data will be securely stored in a cloud storage and you will be able to access them from any part of the world. 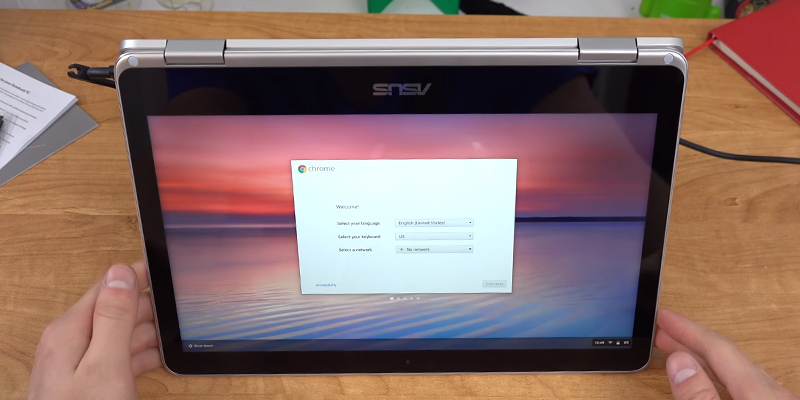 Buying the C302CA, you will get free access to 100 GB of Google Drive storage and you will be able to it not just from the ASUS Chromebook but from any other computer as well, just log in to your Google account. As for the hardware, this Chrome laptop is fitted with the Intel Core m3-6Y30 CPU clocked at 2.2 GHz, which is enough to ensure a smooth operation of the apps you need for everyday use. If you travel a lot, you will like a long battery life, up to 10 hours. Finally, we would like to highlight the all-metal chassis of this ASUS Chromebook; it's durable scratch-resistant, and look posh. 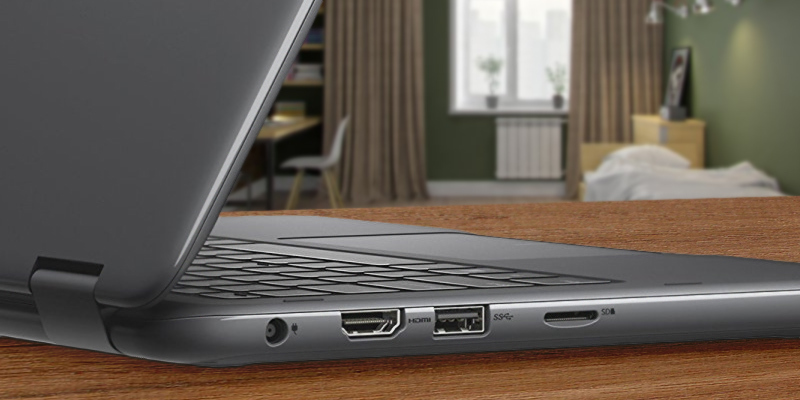 If you wish to copy some data from the Chromebook to a flash drive or another storage device, the top speed is guaranteed since the C302CA has two USB 3.1 Type-C ports. This is the latest USB version and it ensures an incredibly high data transfer speed. 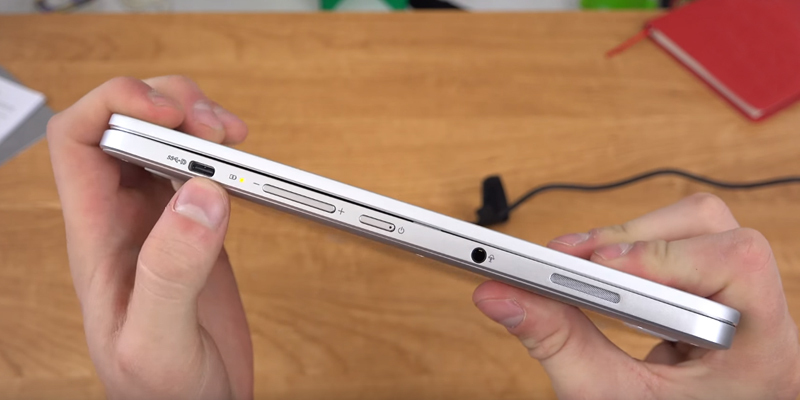 Also, one of the ports is used for charging the Chrome laptop, so you don't need to carry a long and messy charging cable. 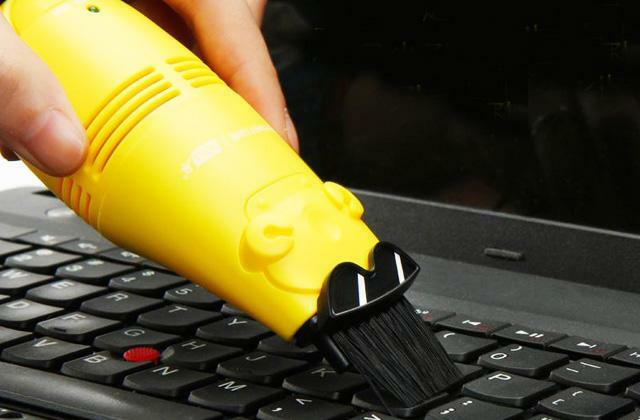 This is a truly space-saving solution, particularly if you carry the device a lot. 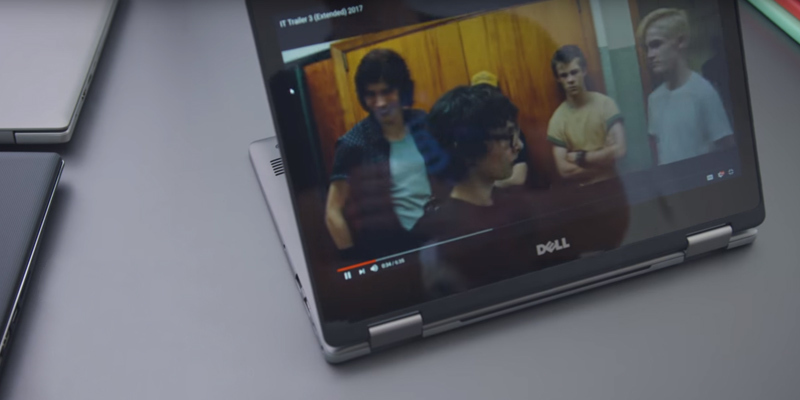 Also, we'd like to mention the unique design of this Chromebook: it has 360° hinges, so the screen rotates, turning the device from a conventional laptop to a large tablet. 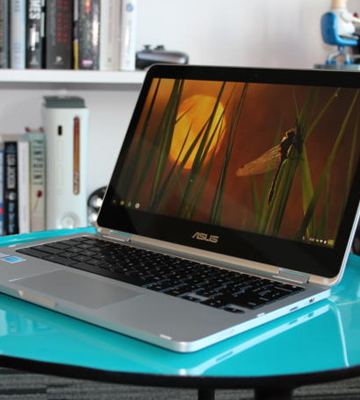 Any tablet requires a touchscreen display and the ASUS Chromebook is not an exception. It has a multi-touch IPS-based LED-backlit screen that provides a top-class image quality. In all, this Chrome laptop is the perfect pick for people who need to work with securely protected documents every day. If you aren't sure that you will be able to recharge your Chromebook on time, consider using a power bank. This simple device will help you recharge not only your Chrome laptop but other gadgets as well (smartphone, tablet, etc.). The Intel i3 processor simply flys... the machine is incredibly responsive. I see absolutely no lag on videos or streaming content. Another feature that I really love are the two USB-C ports. Some have complained about the absence of USB-A ports, but I think the C ports really future-proof this machine. The addition of the micro sd card slot covers the rest of the bases. I love how speedy my chromebook is. From off to on takes all of three seconds (if that). The 4gb of ram that ships with this machine is put to good use. One of the best things about consumer electronics from Dell has always been the attention to details that give their products the sort of sleek and refined look that really sells it to some of the more picky customers. 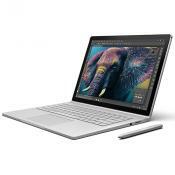 And, as you would imagine, the latest iteration of their 2-in-1 convertible laptop does not disappoint in that regard either. With 11.4" x 8" x 1.02" in overall dimensions, this may not be the lightest 2-in-1 laptop nor the thinnest but it is certainly up there compared to the absolute majority of these gadgets. That kind of size and weight make it really easy to pick the device up and take it with you on the upcoming trip. Speaking of sleek and refined, there's also the gray glossy finish that further improves the product's aesthetics, making the laptop an attractive choice for the sort of people who like their gadgets sharp and stylish. The obligatory IPS panel serves as a bridge between the model's look and performance, offering the convenient multi-touch functionality, great viewing angles, and respectable color reproduction. 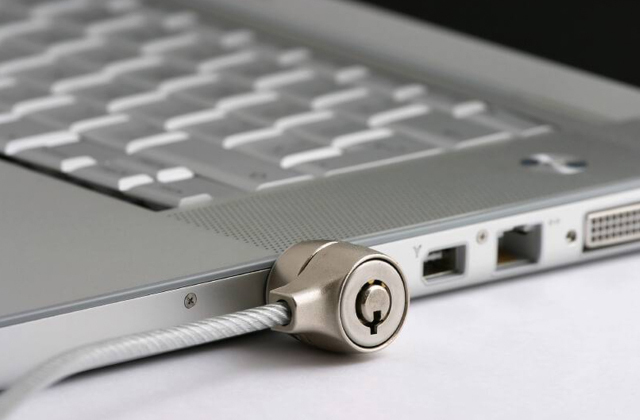 Now, if we had to point out the biggest strength of this laptop, we would probably have to go with its HDD. 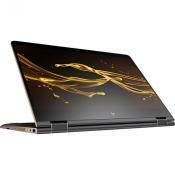 First, there's the 500 GB capacity that you seldom see in 2-in-1 laptops, the sort of capacity that will allow you to store an abundance of HD movies as well as a number of sizable games. 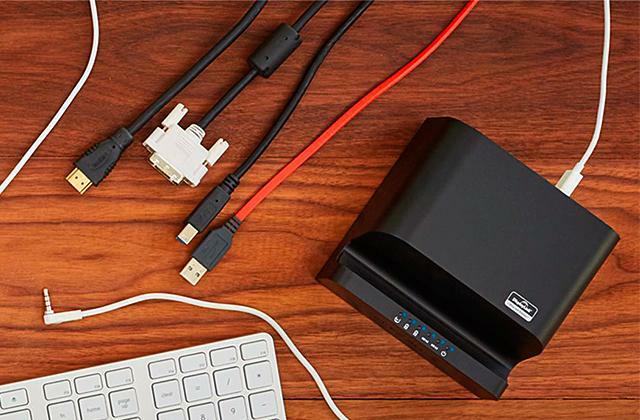 On top of the capacity, the HDD boasts 5400 revolutions per minute, and that's the kind of spec that really goes a long way when it comes to faster start-up times and data access. With this HDD, you won't have to deal with a whole lot of noise either. Finally, the reduced heat production works wonders in terms of improving the longevity of the battery. Thanks to the latter, the laptop is capable of delivering up to 8 hours of runtime, which isn't too bad for a budget device. 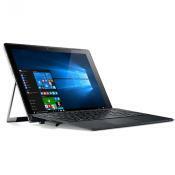 In terms of other specs, what we have here is more or less your typical budget 2-in-1 laptop. With an Intel® Pentium™ N3710 processor and an Intel HD Graphics 405 graphics card, you obviously won't be able to run some of the more demanding titles but it will suffice in terms of work and media consumption. Plus, there's the fairly impressive 4GB Single Channel DDR3L 1600MHz RAM that will allow you to smoothly run indie titles, older games, photo- and video-editing applications, as well as multiple programs and browser tabs all at once. The model also comes equipped with an HD webcam though some customers report that the color reproduction of the cam leaves quite a bit to be desired. 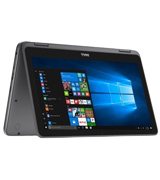 All in all, the Dell Inspiron 11.6" 2-in-1 laptop will prove to be a great pick for those users who like having their own offline movie library as well as keeping a number of sizable games installed and ready to launch. 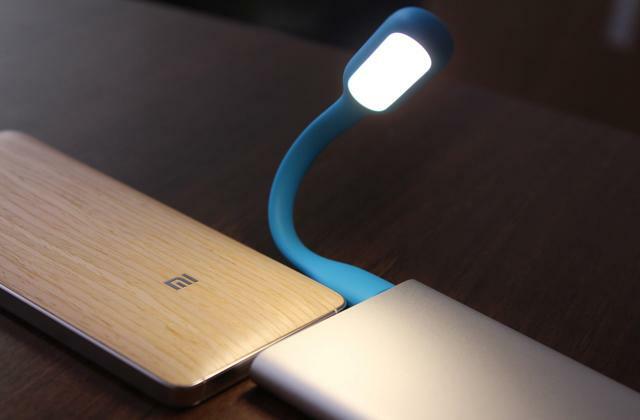 Plus, the gadget simply looks good, which is never a bad thing. 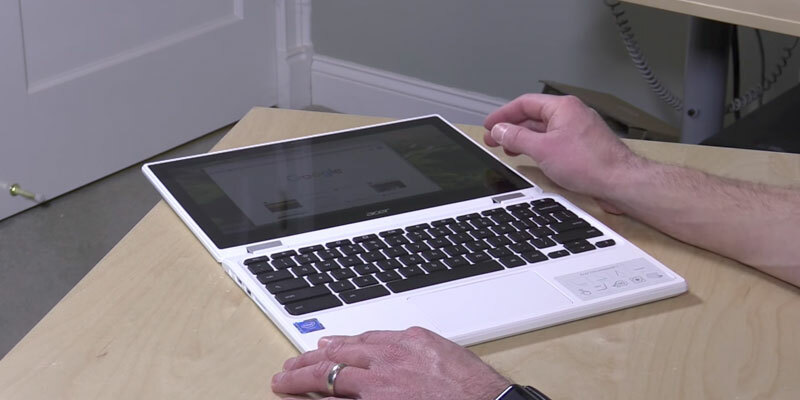 A Chromebook that is specifically made for online work can become a solution to your problem. 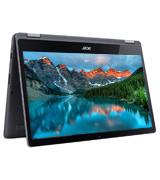 Here we recommend you the Acer Chromebook R 11 C738T-C8Q2 11.6", a reliable and versatile system at a reasonable price. What is so attractive about this model is that it offers great convenience. You can have a lot of fun playing with its 360-degree rotating lid—the Chromebook has four modes to satisfy all your requirements. 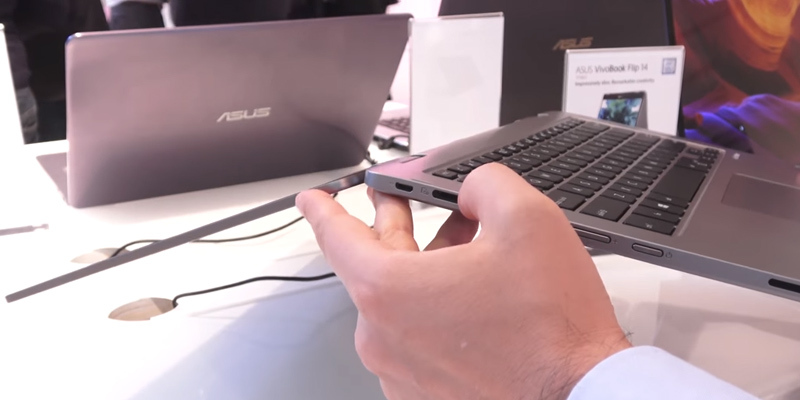 The notebook mode allows typing in comfort with a full-size keyboard. In a display mode, you can watch videos or play games; just move the screen closer to enjoy all the benefits of superb picture clarity. There is also a tent mode which is quite handy when you don’t have enough space to use it as a notebook, for example. And, finally, the last but not least is a tablet mode. With it, you can easily surf the internet, read e-books, play video games, and share the screen with others on the go. The device automatically detects the mode and adjusts both the sound and the display image. 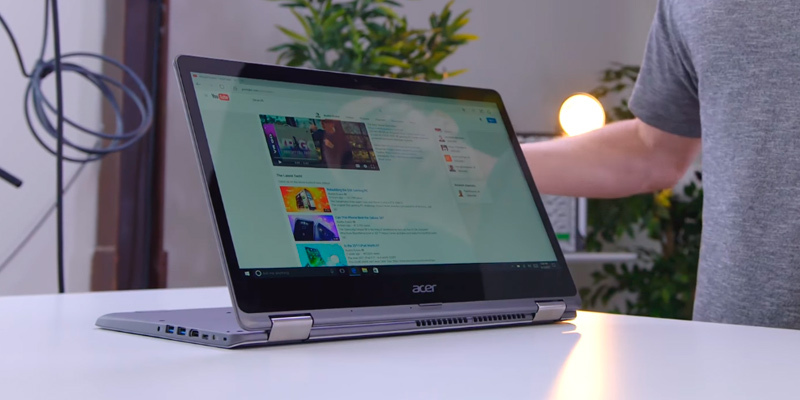 In addition to all above said, the Acer Chromebook R11 is very flexible and doesn’t require much strength to open it and start using, therefore, you can do it single-handedly. The Chromebook R11 shows speedy performance attained due to MIMO, a technology that makes your wireless connection three times as fast as it was before. There is also ultra-fast data transfer provided by USB 3.0 port. A long-life battery ensures continuous work for up to ten hours without recharging, which makes it a perfect model for those who work on foot. Moreover, it shows excellent efficiency as it requires only several seconds to start up. This way, you spend less time waiting and more time working. The Chromebook R11 has 32GB SSD for internal storage, and if you need more, you can use extra 100 GB Free Google Storage, but note that after two years it will cost you a small monthly fee. 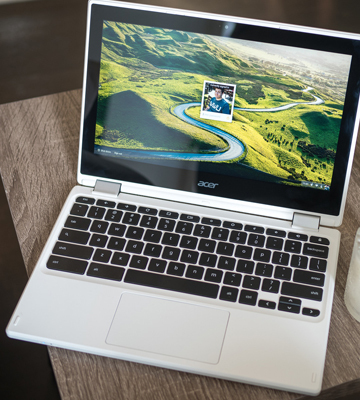 The Acer Chromebook R11 body is made of white plastic, whereas the lid is aluminum and uses the Nano-imprint technology that makes it feel like a textured plastic with a metallic finish; hence, you can firmly hold the Chromebook in your hands, it won't slip. The 11.6" screen has HD 1366 x 768 resolution and features an IPS panel allowing to look at it from wider angles without losing the picture quality. It is useful when you need to show the display contents to people around you, for example. What is more, the screen is touch-sensitive and enables editing, swiping, surfing and organizing with just a fingertip. Processor: I currently have 4 windows with a total of 18 tabs open. I streamed an HD movie on Netflix with all those open, no pauses or buffering. Unreal. Ports! In addition to USB 3.0 and HDMI ports, I was excited to see that this Chromebook comes with an SD card slot. I've found these harder to come by these days, but now I can transfer my photos easily without a separate SD card dongle/reader. 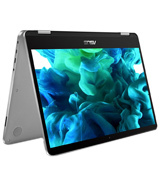 ASUS VivoBook Flip 2-in-1 Laptop is the perfect choice for people who don't believe in sacrificing one major element of the gadget in favor of the other. It isn't really the most exceptional option on the market when it comes to any particular category but it is certainly one of the better-balanced convertibles out there. Just about everything about this product suggests that the folks at ASUS have put quite a lot of thought into the model's design but you have to start somewhere and its appearance is as good of a place as any to do that. 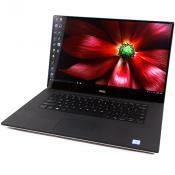 Featuring almost 13 inches in width and 9 in height, it isn't the smallest 2-in-1 laptop out there but, being 0.6 inches thin, it is definitely one of the more slender options on the market. Naturally, the manufacturers didn't extend the usual size just for kicks and giggles and it was a conscious decision that allowed them to install a 14-inch full HD 1920x1080 panel. The said resolution, as well as the impressive 73% screen-to-body ratio, are the main culprits that are behind the model's ability to provide a truly immersive viewing experience. The "2-in-1" part of the name suggests that the gadget is as much of a laptop as it is a tablet. And no laptop would be worth much without a proper touchscreen. So the team of experts behind the model made sure to implement high-precision touch sensors. Spacing those sensors at 6mm intervals allowed their product to achieve better sensitivity compared to your typical display, meaning that even the subtlest touches will not go unnoticed. 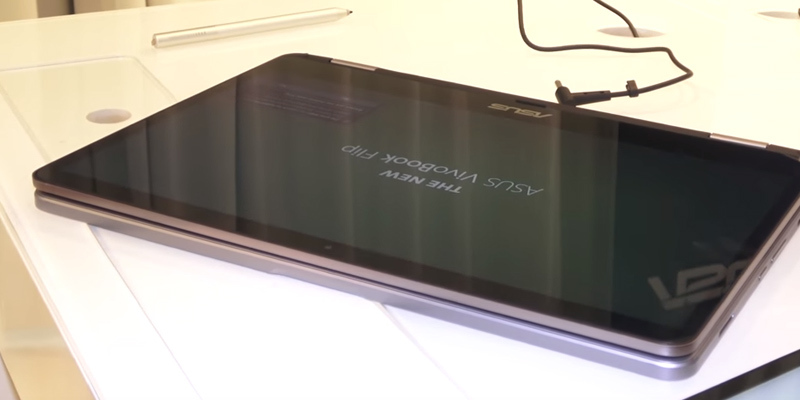 On top of that, the aforementioned touchscreen works perfectly with the included ASUS Pen stylus, making this 2-in-1 laptop a remarkable choice for graphic designers and other similar creative professions. Other than the look and the display, there's quite a lot to like about this model. The ASUS SonicMaster delivers truly impressive sound with the sort of quality that has no place being attached to such an affordable gadget. The only issue with the laptop's audio is that the speakers are a bit quiet, so you won't really be able to enjoy them to a full extent if you plan on using VivoBook Flip 14 in a crowded and loud environment. 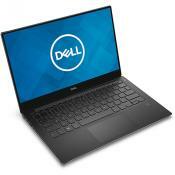 The specs aren't too shabby either, using an Intel® Celeron® N4000 dual-core processor and an Intel HD Graphics 600 graphics card to deliver acceptable performance across the board. 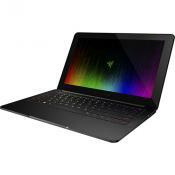 It obviously won't cut it for competitive gaming purposes but it is a good laptop for college and work. 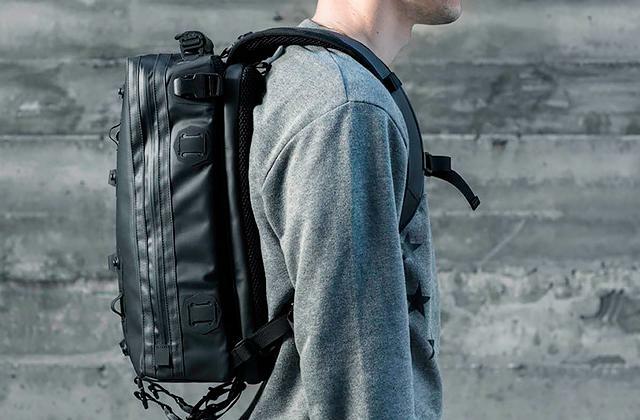 Speaking of the latter, the aluminum chassis and a durable metal hinge will go a long way in terms of allowing the model to survive the rough and tumble of long travels. To rephrase our earlier point, there's a lot to like about the ASUS VivoBook Flip 2-in-1 Laptop. It is definitely one of the better-balanced options on the market. It is also a great choice for people who work in the design industry and an even better choice for those who like to travel. 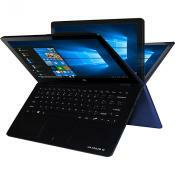 A 2-in-1 laptop is a piece of consumer electronics that combines the advantages of a laptop and a tablet. The idea behind it is quite simple. What you have is your standard tablet that you can use for all kinds of multimedia purposes. Aside from media consumption, the tablet mode works wonders when it comes to some of the less intensive tasks. Of course, if you feel like getting your game on or engaging in some content production, the tablet simply won't do. But all you have to do is pull back the keyboard and you have yourself a fully functional laptop, a device that beats a tablet any day of the week when it comes to work and gaming. 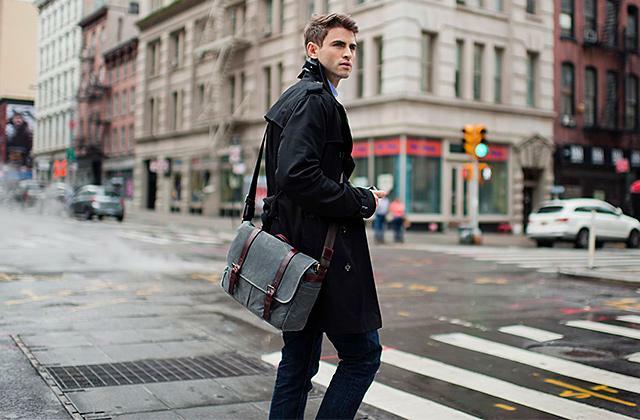 These 2-in-1 laptops tend to be much thinner and lighter than your average laptop, exemplifying the idea of technological convergence and providing much more freedom and opportunities in terms of transportation. They're perfect for college students that need a computer for studying but don't have the space for a standard laptop in their dorm room. They're also great for the international businessman and just about anybody who often travels abroad and needs a powerful and capable machine by their side, the kind that delivers in terms of performance but doesn't take away a whole lot of space. Of course, all of the best 2-in-1 laptops offer multi-touch capabilities, but those simply do not suffice when it comes to serious gaming. So we would recommend stocking up on gaming peripherals using our selection of gaming mice and gaming headsets. First and foremost, a 2-in-1 laptop is a computer. So, when you go looking for the right model, the most important elements that you should keep in mind are the ones pertaining to performance. As some of you may know, the biggest driving force when it comes to computer's performance are its CPU and GPU. The central processing unit is the brain behind the whole thing that issues commands to other pieces of hardware and does the bulk of calculations. It is by far the most important element of any computer when it comes to regular browsing, multimedia applications, and just work in general. But if you're looking to play some video games as well, a proper GPU, also known as the graphics card, is even more important than the CPU. As GPU is a processor that is dedicated solely to graphics processing operations, this is the part that is going to be the deciding factor in terms of the kind of games you'll be able to run, on what kind of settings, and the number of frames per second that you'll be getting on those settings. That said, if you're planning on running triple-A titles, make sure that you get yourself a 2-in-1 laptop with at least 4 gigabytes of RAM. Aside from gaming purposes, the amount of RAM you have will determine the number of applications you'll be able to run at the same time as well as the number of tabs in the browser. And, as per usual, there's also your standard HDD/SSD/MMC memory that decides just how much content you'll be able to store on your laptop. Sticking with the same theme, the requirements when it comes to the displays of these 2-in-1 laptops do not necessarily differ compared to your average laptop and/or tablet. The type of panel will determine the color reproduction as well as the viewing angles. The resolution is responsible for image clarity, as per usual. And, as it always is, the said resolution is tied to the size of the display, so keep those specifications in mind when you go shopping for one of these devices. Now that we have mentioned the size of the display, it makes sense to briefly mention the size of the whole thing as well. As we have stated earlier, the biggest advantage of a 2-in-1 convertible laptop compared to a standard laptop is its ergonomic design. Having a huge display is always nice but make sure that you do not lose sight of why you decided to go with one of these gadgets in the first place. Saving the easiest part for last, we thought it wouldn't hurt to quickly touch upon the subjects of battery life and interfaces. There's really no inherent downside to a larger battery capacity, so get yourself a device that offers as much of it as possible. Same with the interfaces. 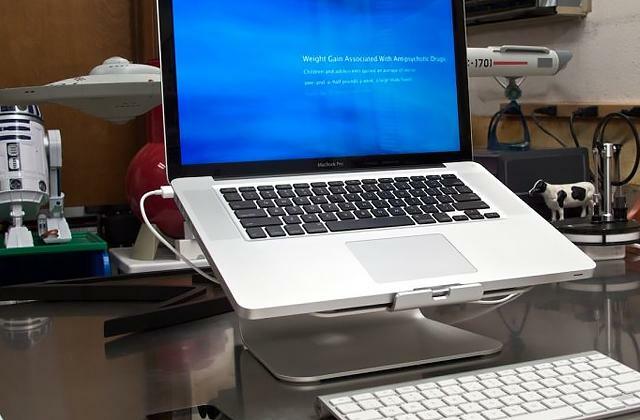 The number of interfaces determines the number of gadgets and peripherals that you'll be able to connect to your 2-in-1 laptop and it never hurts to have as many of these inputs and outputs as possible. The term 2-in-1 laptop sounds a bit ambiguous, doesn't it? Upon hearing a name like that, there's a good chance that your average user will have a pretty good general idea of what the person is talking about but not necessarily what is it exactly that is the subject of discussion. The ambiguity of the term mostly stems from the fact that the technology itself pre-dates the name. Before these gadgets have gained the sort of popularity that they have these days, the tech journalists would usually refer to them as convertibles or hybrids and, for the most part, these terms are still widely used to describe the difference between different 2-in-1 laptops. Generally speaking, the majority of these devices nowadays tend to belong to the convertible category, the category that is mostly reserved for the gadgets that have built-in means of concealing the keyboard by sliding the said physical keyboard or rotating it behind the chassis. Hybrids, on the other hand, simple come equipped with the ability to incorporate the services of a portable keyboard, meaning that you can attach and detach that keyboard whenever you want. Now, we have briefly touched upon this subject earlier, but we thought that it wouldn't hurt to elaborate further on it. Especially since the number of advantages that 2-in-1 laptops offer is ridiculous in its own right. Of course, it all comes down to personal preferences, but there are still quite a few of those benefits that you simply cannot deny the value of. For starters, a device like that means that there's one less gadget to worry about. And let's be honest - this is a good thing. We live in a world of tablets, smartphones, laptops, smart watches, players, and a number of other portable electronic devices that clog our memory and take away too much of our time. 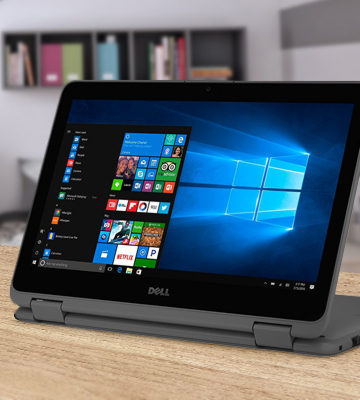 A 2-in-1 laptop removes one gadget from the equation, so you won't have to worry about updating your laptop or bringing your tablet with you whenever necessary as both of those devices will be there for you in a single, convenient package. 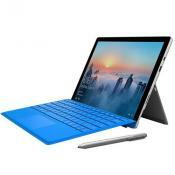 Since you won't have to purchase a tablet and a laptop separately, the opportunity to save some money is another obvious advantage of a gadget like that. 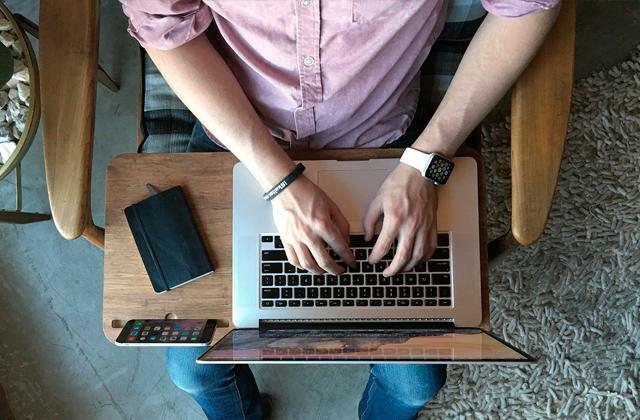 You want a laptop since a tablet simply doesn't cut it when it comes to work and some of the more demanding applications. And you do not want to neglect the tablet as it is much more convenient in terms of media consumption. So, you get yourself a convertible gadget and enjoy the advantages of both of these portable consumer electronics without paying double. But the thing that we love most about 2-in-1 laptops is just how good they are as far as the question of gaming is concerned. Of course, there are plenty of different games for tablets, but none of these video games has the sort of complexity and intricacy to them that could even come close to some of the more demanding PC titles. With one of these convertible laptops, you will be able to pull out a keyboard and get your game on whenever and wherever you want.